Brian discusses tips that allow students to succeed with the course. Brian talks about his background and answers student questions. Brian discusses the different languages and technologies that will be needed to create a website and how these elements relate to each other. Brian answers questions from students. Brian continues discussing HTML by reviewing more HTML elements for marking up content. Brian answers questions from students. Brian introduces HTML elements for displaying images, forms, and tables. Brian takes questions from students. Brian reviews HTML comments, which allow for adding notes in the code for other developers that the browser will not display in the viewport. Brian reviews coding area where students can experiment with marking up content with common HTML tags. Brian answers questions from students. A special HTML attribute, Brian reviews the class attribute that can be placed on any HTML tag. Through Cascading Styles Sheets (CSS), we can use specific CSS selector called "class selector" to associate design rules to modify how those HTML elements look in the browser. HTML ID attributes are used for a specific and unique portion of an HTML document. Brian takes questions from students. Brian reviews the benefits of semantic HTML, which refers to the quality of marking up a document with logical and meaningful naming conventions. Brian takes questions from students. Brian introduces Cascading Style Sheets (CSS), which are rules for how a browser should design or render content. CSS rules may contain information such as colors, sizes, order, positioning, animation, and much more. Brian breaks down an example of a CSS rule into its three main components: selector, property, and value. Brian reviews CSS inheritance, which is when an HTML element transmits its CSS rules to a child element. Brian discusses the Cascade, which is used to settle potential conflicting CSS rules. Brian discusses class selectors, which utilize HTML class attributes in order to associate CSS rules. Brian reviews the impact of IDs and !important on CSS specificity. Brian takes questions from students. Brian introduces pseudo-classes, which associates CSS rules based on certain special events that happen within the markup or user action. After briefly mentioning pseudo-elements, which allows you to insert content into a page from CSS, Brian discusses the wildcard selector. Brian takes questions from students. After showing how to associate CSS rules written in a separate file to an HTML document with the link tag, Brian shows when to effectively use CSS cascade. Brian answers questions from students. Brian continues to walks through a solution to HTML & CSS Project Exercise by expanding on the project’s layout and modify unordered lists. Brian introduces strings, which are words or characters stored in a variable, and the merging of different strings together with concatenation. Booleans are a special type of setting a true or false value. Brian introduces functions, which is a bit of re-usable code similar to how class selectors are used in CSS. 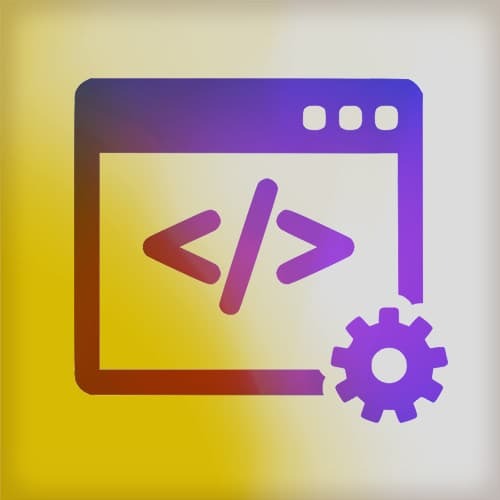 Brian reviews scope, which is when a variable defined exclusively within the function cannot be accessed from outside the function or within other functions. After noting where the variable is declared, students work through code example to find where there are problems with scope in this exercise. Brian walks through the solution to Scope Exercise. Brian introduces commonly-used functions that are available from the browser, which he refers to as "builtins." Brian reviews objects and arrays, which are collections of numbers, strings, booleans, and other objects and arrays. Brian introduces how to store and retrieve information from arrays, which are ordered collections of data. Brian shows how to modify a web page based on user interactions with the page, which are called events. Event listeners are coded to tell the browser to be alert for specific user interaction such as a mouse click or keyboard button press. Brian reviews event delegation, which refers to the process of using event propagation or bubbling to handle events at a higher level in the DOM than the element on which the event originated. Brian introduces Ajax, which represents a website request for more information from a server after the page has already loaded, by using an API to pull in an image with JSON. Brian introduces git, which is a distributed source control management tool. To use git, Brian demonstrates how to work on the command line with bash. Brian shows how to setup Node.js server. Brian reviews deploying a server application and wraps up the course with final thoughts.